Congrats on breaking free from the Hawkins National Lab and an even bigger congratulations on busting out of the Upside Down. Needless to say, you've seen some stuff. Life as a human science experiment was traumatizing and dealing with the Demogorgon was nearly fatal forcing you to grow up in a very short amount of time. Wearing cutesy babydoll dresses and sporting wispy blonde locks aren't good representations of your personality and they never were. It's time to change your image with a makeover that defines who you are— a tough-as-nails preteen who moves things with her mind. And as you can already figure out, makeovers are pretty much a way of life around here. We live for them and would love nothing more than to assist you with this edgy transformation. The Stranger Things Eleven Punk costume is exactly what's needed for your gritty new look. No need to use your telekinetic powers to get your hand on it either because we'll gladly send it to you. Save your energy for the Demodogs. 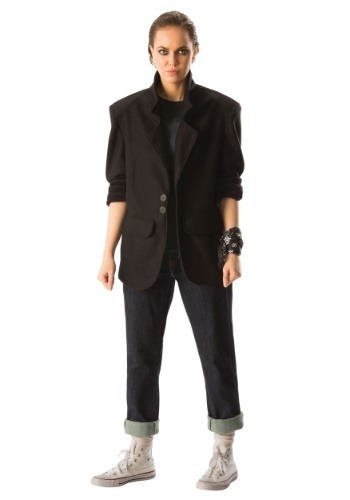 Your 80's punk makeover starts as soon as you put on the oversized blazer. 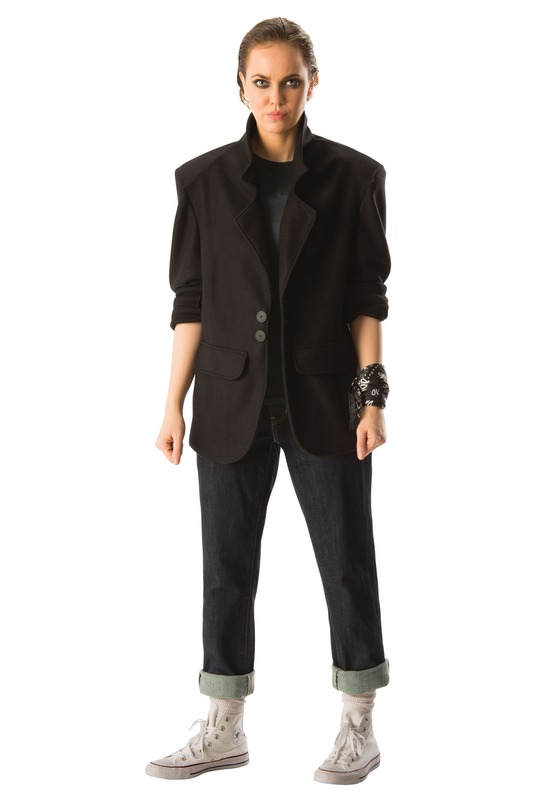 The black 2-button jacket features a high collar and 2 faux welt pockets. The black and white handkerchief bracelet contributes to the bold retro look while the included wig serves as the cherry on top completing the Stranger Things ensemble. The wig features a comfortable wig cap and a slicked-back synthetic hair creating the recognizable androgynous look from season 2. Complete your punky makeover with a favorite pair of jeans rolled up to the ankles and comfortable white sneakers. Amp up the intimidation factor by smearing fake blood underneath a nostril. With a look this bold, those scientists will think twice before they try hauling you back to the lab again. Small Wig Circumference 20"-22" 20"-22"
Standard Wig Circumference 20"-22" 20"-22"
Large Wig Circumference 20"-22" 20"-22"